Wideside will participate also this year at the 12th edition of the Forum of the Placement on 6th and 7th November 2018 at the Maritime Station of Naples. The first day of the Forum will be with the focus on the opening session: speakers and testimonials will choose a theme that may be of interest to the community. The second day will be dedicated to meetings: one to one meetings between universities and companies, structured on the basis of requests made by delegates in previous weeks through the portal of the registration. 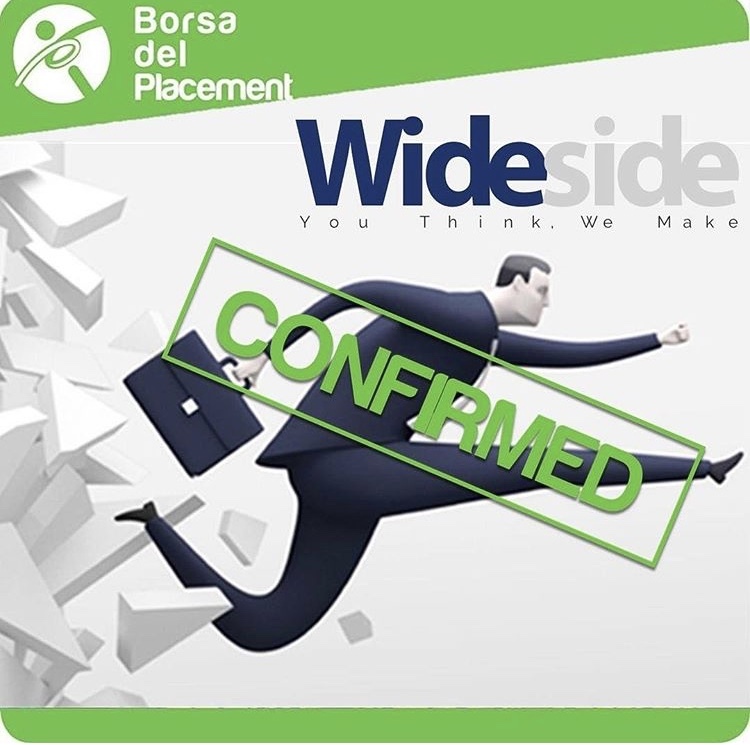 Wideside will participate in JOBFAIR 2018 held on October 24th and 25th in Pisa. On October 25th, from 9.00 am, at the headquarters of the Sant’Anna School of Advanced Studies, Wideside will meet the students and alumni of the six high schools, master’s degrees, PhD courses and university master’s degrees.